In this lesson, you will learn five characters relating to the present or new things. You can not only find this character in a variety of common words, but you can also find it (combined with the following character) plastered across buildings in Seoul. Although the company “현대” (Hyundai) is known as a car company in Canada/the United States, it is actually an international conglomerate with their hands in everything. One thing they are involved in is construction, and you can find their logo “現代” all over Korea. You can find the character “代” all over Korea on the awnings of businesses. Beside this character, you will often see a phone number written. The character “代” is used in these cases to indicate that one should call that number if he/she would like to contact a representative of that company. 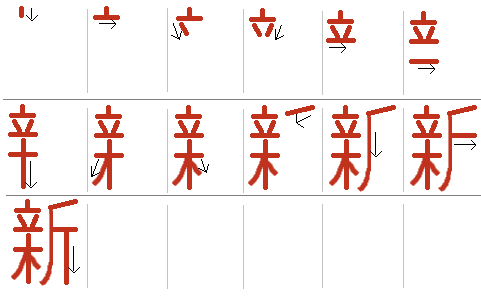 There are many academic subjects that end with the character “文”. These subjects generally refer to the written component of the previous character.